The conference aims — to be an opportunity to gather European educational actors, from policy makers to practitioners to researchers. 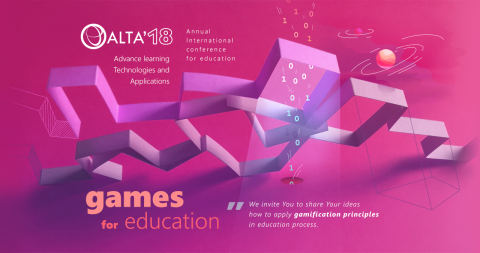 At ALTA’2018 you will be able to present your research, projects and discuss your experiences in the field of e-Learning methodologies, educational projects, innovations and new technologies applied to Education and Research. This year we put a focus on application of gamification principles in education process. Languages of presentations are English and Lithuanian. ⟵THE FINAL PROJECT “CREATING MOLDOVAN E-NETWORK FOR PROMOTING E-TEACHING IN THE CONTINUING PROFESSIONAL EDUCATION TEACH ME” PARTNERS MEETING. 19TH-21ST OF SEPTEMBER, 2018, CHISINAU.